Finding the team, the ideas and the means to co-create a "more caring and sharing community": Which side are you on? My experience is that people (including myself) are deeply attached to 'sides' and to conflicts that run deep for years. 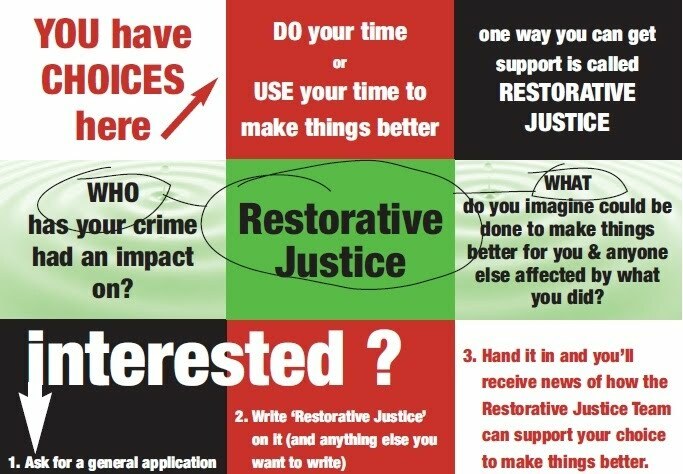 Again, when working as a restorative justice co-ordinator at HMP Bristol, the staff and the prisoners wanted to know:"Which side are you on?" Some people I met found it hard to feel trust until they could get a clear sense of 'which side' you were on. And trust-building is perhaps the most important aspect of any project's success; well worth a heavy investment of time. Once there is enough understanding of where each other is coming from, it becomes much quicker to make and enact action plans that no one undermines. In the name of effective co-operation, it helps to be able to recognise 'the path of undermining behaviours': Sarcasm & 'put-down' jokes, excuses, gossip, withdrawl from talking to one another, 'go-slow' working practices, strike, open confrontation and/or separation. In relation to someone in your past (or present), which of these behaviours have you partaken in? Some of them? All of them? - Great, it helps to recognise the pattern and the cost paid. Myrna Lewis points out in an invaluable book called "Inside the No" (available from freelender.org), her "five steps to decisions that last". To the dissenters to any suggestion ask: "What would it take for you to come along?" Saying to offenders: I'm on your side and I'm also on the victims' I would suggest does not amount to an adequate answer. Not only does the mainstream that try to create heroes and villains. "Which side are you on?, which side are you on? Are you on the side of genocide, which side are you on?" Was this song over-simplistic and generalising? Yes - and no and neither and both? In Restorative Justice practice it's often all too easy for the practitioner to come down on the side of the victim. (And some practitioners insist that it also hard within the criminal justice system to actually put the victim first, a view which sometimes leads to more imbalanced behaviour as a dangerous way of handling a perceived 'power imbalance'). To come down on the side of the victim would be a big mistake if building safer societies is more important to you than helping victims feel better. I know that to say something other than 'the victim must be priority' is a tough thing to say; it was a resigning matter for me at HMP Bristol. I come down on the side of 'systemic win', an outcome far more complete than the win-win outcome. Win-win outcomes between a couple of stakeholders often generate waste/hurt elsewhere. Ideally (and my main occupation appears to be 'idealist') we use pain and waste to generate resources in closed-loop systems. See the writings on permaculture for more of this. "Often the organization's declared vision, structure and model are almost irrelevant compared to its ability to incorporate differences of opinion and diverse styles of communication. If a group succeeds at diversity, it is a successful community and will work. If it cannot do this, it fails at the deepest spiritual level of community, becomes unsustainable within itself and does little good for the world around it." Come join me, sitting in the fire. - Now there's an invitation you may find hard to resist. & 4) to appreciate the nature of difficult situations. Obviously I have to be wide awake about myself because not every client will automatically join me in these expectations." Are you, as a potential colleague (or client of mediation services) provisionally willing to let me know your goals, and whether they enable you to work with difficult situations? Colleagues and clients who are willing to 'walk towards the conflict' (Dominic Barter's phrase) are those I value the most, and will often work with just for the love of it.